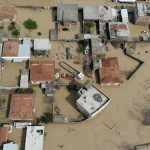 Flash flood is still covering vast areas in Lorestan, Golestan, Khouzestan, and other flood stricken areas, due to mismanagement of the regime. More than two weeks of severe floods have devastated Iran and created a nationwide crisis. Three consecutive floods destroyed homes, dams, businesses, and public buildings; flooded and blocked roads; contaminated water supplies; and took hundreds of lives. 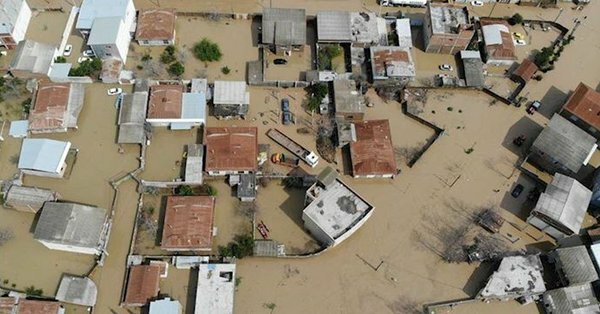 Tens of thousands of people in numerous flood-stricken provinces now desperately need emergency assistance, but forty years of mismanagement and corruption has left the Iranian regime without the resources or competence to do so. Conditions in Khuzestan Province are dire. On Wednesday, the Dez River in Khuzestan Province overflowed and flooded a number of nearby sugarcane farms, causing severe damage. Jazeere Park in Ahvaz, Khuzestan Province, is completely underwater. Locals in Ahvaz report that sewer pipes have burst, creating lakes of waste throughout the city. More than 100 villagers in Khalife Heydar, near Shush, have been surrounded by floodwaters for four days. They have not received any aid from authorities. The inadequate response from the regime has even drawn criticism from its own officials. The Friday prayer leader in Mamulan, Lorestan Province complained about the lack of aid to flood victims, saying, ““We have no news of 60 villages. Officials said they would launch a field hospital, yet no such action has been taken. There is no sign of any emergency units. A number of helicopters came and went, none sitting in Mamulan.” Friday prayer leaders are considered to be representatives of regime Supreme Leader Ali Khamenei. Dissent from a prayer leader is rare and speaks to chaos within the regime as a whole. Mrs. Rajavi has called upon the Iranian people to assist each other during this time of crisis. She specifically urged MEK Resistance Units and Iranian Youth to organize to support victims of the floods. For more than two weeks, the Iranian people have stood on rooftops, clung to telephone poles in rushing waters, dragged bodies out of floodwaters, gone without drinking water, and been ordered to evacuate but given no place to go and no way to get there. They have been given false numbers of fatalities and damages. They have received visits from smiling regime officials with camera crews who offered no answers or assistance. They are angry. On Wednesday, Ahmad Khadem, a senior official of the Revolutionary Guards (IRGC), visited Ahvaz, which was badly damaged in the third flood. He was confronted by a group of residents, who shouted, “Get lost!” Khadem and his bodyguards complied with their request and left. Another regime official received similar treatment the day before. On Tuesday, Secretary of the regime’s Expediency Discernment Council and former IRGC Chief Mohsen Rezaie visited Poldokhtar, Lorestan Province. 90 people died in Poldokhtar during the third flood. Locals were not happy to see Rezaie.